New Film Review Site Is Live! After mulling for a few days over the question of whether or not I should keep publishing film reviews on The Cat’s Cradle, I decided to go ahead and make a new, separate site for them. So, if anyone is interested in my screen-rants and fangirling about movies, TV shows, comic books, anime, and video games, please be sure to check out, follow, like, share, and otherwise enjoy Second Unit Reviews! Should the Cat’s Cradle have film reviews? Hello, readers! I have a question for you. Well, a couple of questions, really. The main focus of The Cat’s Cradle is (supposed to be) writing, specifically in relation to fantasy novels, structured around personal experience and anecdote. However, I also like writing reviews of films and television shows along with a large dose of fangirling. Some of these kinds of reviews have already popped up, but I try to keep them to a minimum. After all, this is supposed to be a writing site, not a movie review site. But I do enjoy writing about things I really loved (or hated) about stories in other media, even if it doesn’t directly relate to writing. Over the last few years, I’ve done a few “reviews in sequence” where every day or week for a certain span of time, I write a brief review of a film that is part of a series or franchise. The two I’ve done so far are “7 Days of Star Wars” from 2016 where I watched Episodes I-VII (one each night for a week) and wrote reviews about each one. Then I did “The Merry Months of Marvel,” where I reviewed one Marvel movie each week starting in January 2018 and ending in May 2018. Currently these are only found on my private Facebook, as I didn’t want to flood The Cat’s Cradle with this off-topic random content, so they’ve only reached a very limited audience. Ideally, I’d like to have a separate “blog” section on The Cat’s Cradle to post geeky gushing, but my WordPress site is, by necessity, very simple since I have neither the funds to afford purchasing a more complex theme/skin, nor the skills to modify what I have beyond some basic cosmetics. Right now I can only add static pages rather than individual entries, and apparently this Piano Black theme has been retired, so if I try to overhaul the site, I may not be able to switch back if I decide I don’t like the new look. I don’t really want to do that if there is little to no interest in my screen-rants. These reviews are fun to write, but will they distract me too much from working on my regular entries and my novels? There are already a lot of sites that do far better, more in-depth, and more entertaining reviews than I do, so do I have anything new to add? If I do make a new site or section, do I move the reviews that I already have done over to that new place (which can create a host of dead links) or leave them where they are (which may leave people confused and the organization system muddled)? And if I decide to make a new site, should I take my content from Geek La Femme (which includes reviews of anime and video games) and add it to the new one? So, what do you folks think? Should I bother with this or just let things rest as they are? Another film review from the Penn-Mar Literary Critics! Many thanks to Avellina for joining me on this venture into Arthurian legend. Be advised that this entry contains spoilers! I will not pretend that King Arthur: Legend of the Sword was a good movie. It was average at best, mediocre at worst. It managed to be better than Beowulf or Dracula Untold but did not reach the level of Lord of the Rings or Game of Thrones. And yet, to my surprise, I rather enjoyed it. King Arthur is a popcorn film, a Pacific Rim in the fantasy genre. It focuses on CGI action and glib character moments rather than the deeper tales of good and evil. It has the look of such epic films in many respects, (the production values are quite good) but lacks something vital that keeps it from true greatness. Well, actually, it lacks a lot of things. 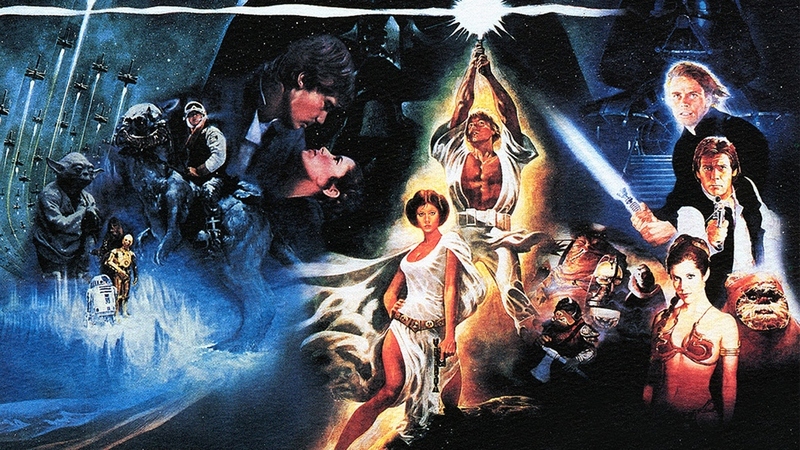 It’s filled with internal inconsistencies, plot holes the size of Miami, a magic system with no real rules, an over-emphasis on action that looks good rather than what makes sense, gratuitous CGI, inability to really distinguish between characters (especially the women), and a tragic, almost criminal under-use of Jude Law. This is the fifth and final part of a series of entries discussing various books that deeply influenced my writing and outlook on stories. You can read the Introduction here, Part 1 here, Part 2 here, Part 3 here, and Part 4 here. Please note that discussion of these books may contain spoilers. I thought I’d close out this discussion of influential books with a genre that I don’t usually read: nonfiction. It’s only in the last three years or so that I’ve really started delving into nonfiction; before I just passed it by as something that I don’t dealt with for research, not read for fun. However, I started finding interesting books about internet culture, fandom, introverts, and writing. So, here I am to talk about three nonfiction books that helped influence me as a person as well as a writer. This book saved my life. I’m only slightly exaggerating when I say that. 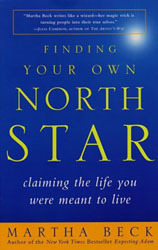 I was deep in the grip of depression when my onii-san David let me borrow his copy of Finding Your Own North Star: Claiming the Life You Were Meant to Live by Martha Beck. I was in pain, confused, and trying desperately to claw my way out of a hole I had only recently realized I was in. I needed to make sense of what was happening to me, why I was so unhappy, and what to do about it. Listening to other people doesn’t help me much because I often find it hard to relate to someone else’s thought processes. But books…a book I can read. A book I can understand and apply to my own life and experiences. And Finding You Own North Star helped me do just that.